Today’s guest post is by Ken Myers, owner of GoNannies, a nationally known nanny recruiting website. He discusses his personal experiences with a therapist who was not very helpful, and contrasts it with his experiences with another one who was. 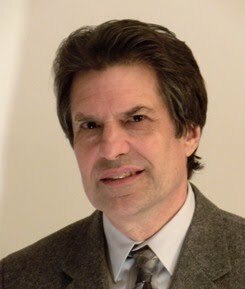 One of the themes of this blog that he illustrates is that good psychotherapists take into account the behavior of the patient’s intimates, most especially family of origin members - versus those who think a patient’s problems are basically all in their heads and caused only by their own failings, immaturity, irrationality, or inadequacies in one way or another. Or ones who just offer glib or clichéd advice that does not take into account the difficulties patients confront in trying to follow advice to “just say no” to problematic patterns in their lives. When I was a young teen in high school I started having some problems with stress. I couldn’t seem to keep up with my studies, having friends, and being a part of the family. It wasn’t anything new, really, but the extra work and pressure of becoming an adult and planning what I was going to do with the rest of my life seemed to be more than I could handle. I remember that even as a young child I was ‘high strung.’ Always conscientious and worried about others, I was the ‘mother hen’ to my younger cousins and siblings. Even with the adults in my life, I tried to help as best I knew how - sitting quietly and attentively at their bedsides when they were ill or happily pitching in to help with chores and housework. Nearly every morning I would wake up with a stomach ache and, ignoring it most days, did everything I could to not ‘rock the boat’ and to be the very best and most helpful child I could be. As I got older and became more aware of a world outside my immediate family, my responsibilities grew. I was not only responsible for keeping my little family happy and healthy but, but as a part of my religious upbringing, I was supposed to ‘save’ everyone I came across in my life. I had been taught right from wrong and needed to share, mold, guide and teach that to everyone seeming to lack that knowledge. Of course, others did not take so kindly to my black and white way of looking at the world. After being rebuffed time and time again by my peers I learned to withdraw. They did not want what I had to give and I did not know how else to interact, so I journeyed into my safe world of books and imagination where everything was firmly under my control. However, high school changed all that. Some friends fell away, reviling in the grey and rebelling against the rules in a bid to become their own people. Others stayed mostly the same, diving even deeper into religion and black and white thinking until the rules and regulations drove their every step. Confused and alone, I dared not ask my family what was going on for fear of rocking the boat. I had no friends left whom I had any confidence in; they seemed even more lost than I. With no other adults I trusted I felt lost. This feeling began to manifest itself physically to the point at which a visit to the doctor ended with a recommendation that I go to therapy. My parents found a therapist within walking distance from my high school and once a week I would go and talk to her. Coincidentally, she was the mother of a student I had grown up with, a rebellious and popular boy, and as time went on I grew more and more dubious of her ability to help me. Most of the time she just let me talk. It was a help, in a way, just to have someone to listen to my childish and incoherent fears and doubts - someone who, hopefully, would not correct me or be horrified by the meanderings of my mind. However, after the first few sessions I wanted more. I asked her questions on how to cope with the demands of my life: my family, my religion, my peers, my future. In return I got the most basic of replies. My family was… well the word abusive was never used but was implied, and she thought I should get away from them as soon as possible. Religion was okay but I ‘shouldn’t worry about it so much.’ I should ‘get involved’ and ‘make friends,’get good grades and go to a faraway school. Confused and no better off than before, I continued to go to her for a while but learned not to ask questions. After a while I told my parents I was ‘better’ and I learned how to hide my physical symptoms for the most part so that they were not alarmed. I stopped going to therapy and learned to cope by hiding in books and daydreams. I made good grades, got a job, and went home to help with the chores every night and on weekends. I went to church on Sundays and even on the occasional outing with the teens from my Sunday school group, whose names I never even bothered to learn. I learned that the fewer people I let into my life the less stress I had. So I closed myself off more and more, learning to live a life of isolation and hard work punctuated by reading stories and having dreams of high adventure. I did end up going away to college for a year. Nothing changed. Distance didn’t relive my anxiety; it just gave me fewer ways to express it directly. I moved to a closer school, but didn’t live at home. Again, nothing changed. A disaster at home prompted me to move back in and reassume some of the physical responsibilities I had left behind. Now an adult with devastated and ill family members depending on me more than ever, I shouldered all the responsibility of a home and family. I was botching it at some points due to ignorance and inexperience but was trying my hardest to be whoever they needed me to be. Years later, after a cycle of unhealthy codependence had formed, I woke up - almost literally. I had little memory of what I had been doing with my life. I had just been moving from day to day and functioning enough to survive and keep my family afloat. I was depressed and isolated. I needed help. I decided to try psychotherapy once again. I went for three sessions to another woman with similar tendencies to the first. However this time I was an adult and could change to someone else. I dropped her and looked again. I finally found a male therapist I had confidence in. The first session was a revelation. It did not seem that different, in all honesty, from my earlier experiences. I told him about my life and he listened. But it was his responses that shocked me. Instead of pat answers and wishy-washy platitudes, he asked me a question. I sat back and blinked. I had my reasonable expectations of eventually living on my own somewhere nice; maybe having a garden and a pet. But what he asked was more than just what I hoped I could realistically achieve. As I pieced together my answer I started to cry. I had hopes! And dreams! And aspirations! It had been so long since I had thought beyond survival and making a life for those I cared about. After several sessions he helped me to see that I was not responsible for the other adults in my life. No matter how helpless they acted or how much they ‘needed’ me, they were fully capable of taking care of themselves. He helped me to learn the boundaries between myself and others; to point out that I was not responsible for making others happy or satisfied or complete. I was not responsible for making anyone else happy but me, as I was the only person I had any control over. “You can lead a horse to water…” he liked to say, pointing out that no matter how hard I tried I couldn’t make people do what was best for them. By dealing with the real issues instead of hiding from them or trying to run away from them, I gradually learned to let go of responsibilities I had taken on and let others take care of themselves. I became capable of having friends without feeling responsible for their happiness, and I even started dating. The thing I look back on with the most regret is that I did not get that guidance in high school. What would my life have been like if I had learned about healthy boundaries then? If I had learned how to interact with others in a way that was good for all of us? It all started with my family. My natural inclinations were used, unconsciously but harmfully, to compensate for my family’s shortcomings. If only someone could have helped me to understand earlier the connection between my stress and my family’s behavior, it would have helped me a lot. It’s no surprise that American corporations spend billions of dollars each year on lobbying government, trying to gain favorable treatment from legislators. And succeeding wildly. What some may find a bit surprising is which industry spends the most in these efforts. Wendell Potter of the Center for Public Integrity, says that it is the pharmaceutical industry! According to OpenSecrets.org, it spent a total of over $2.6 billion on lobbying activities from 1998 through 2012. In comparison, energy companies spent a mere $1.4 billion. So what are their lobbyists seeking in return? Well, one obvious thing is that pharmaceutical companies engage in outrageous pricing practices, particularly in the United States. Drugs cost far more in the States than they do in most other countries. The companies also keep exclusive rights to manufacture new drugs for 20 years or more. This despite the fact that drug price inflation is one of the main drivers of health care costs for individuals and families and threatens the fiscal health of our public health care programs. The industry's policy goals include: resisting government-run health care, ensuring a quicker approval process for drugs and products entering the market, and strengthening intellectual property protections. Top 2008 contributor Pfizer supports efforts to protect pharmaceutical manufacturers by restricting the use of generic copies of their drugs. The gap between what Americans and citizens of other countries pay for drugs is actually increasing. So, in response, many people started to buy their medications from sellers in other countries. Canada was particularly attractive for this purpose. What were the drug companies to do? With a push from their lobbyists, the practice of individuals importing their medications from Canada was made illegal. This is kind of funny, since it is also true that a lot of the drugs available in Canada are manufactured in the United States to begin with, and the exact same drug companies are selling them in both countries! Many concerns restrict drug reimportation from being a legal practice in the US. These include safety, efficacy, and therapeutic equivalency of reimported drugs. While these drugs are manufactured in the US, the storage and packaging conditions in countries where drugs were exported cannot be monitored by the US Food and Drug Administration (FDA). In addition, inappropriate storage conditions while reimporting medications back to the US may degrade the quality of drugs. The most important issue is distinguishing between drugs that are manufactured in the US from those which were manufactured elsewhere. Although technically ‘reimportation’ involves importing back drugs manufactured in the US, there are no means to check the originality of drugs. Similarly, it is difficult to determine whether the drugs purchased from other countries have the same dosage form, potency, and amount of active ingredient as the prescribed medication... The pharmaceutical industry criticizes the reimportation practice due to the potential harm to the recovery of the research and development (R&D) costs required for new drugs. While these opponents prevent the legalization of drug reimportation, various consumer advocacy groups support the practice. The bit about dosage form, potency, and the amount of active ingredients is especially insane because pharmaceutical companies in the US import many of their ingredients for their products from countries such as China or India, where safety and quality oversight by the government is considerably worse than it is in Canada. Readers may also be familiar with another law that came courtesy of Pharma lobbying: While private insurers, hospitals and even the US Department of Veterans Affairs can bargain with drug makers to get better deals on prices, the Medicare Part D drug program cannot. The Congressional Budget Office estimates that the government could save $112 billion over the coming decade if Congress reconsidered this 2006 gift to drug makers and instead gave Medicare the ability to negotiate prices. Do you really believe that the only way to keep the program from going broke is to cut benefits and raise the eligibility age for Medicare from 65 to 67? Not surprisingly, when the Medicare Part D program was first passed by the US Congress, one of the only major classes of drugs explicitly excluded from all support was benzodiazepines. This restriction was finally eliminated, but only this year. Readers of this blog already know that I think that Big Pharma has purposely demonized this class of drugs by doing such things as grossly exaggerating its dangers of addiction. Benzo’s are just too cheap, safe, and effective for their tastes. They want you to buy their expensive and far more potentially toxic antipsychotics and other classes of medication if you need a sedative. Since the Health Industry practically wrote the Medicare Part D legislation, I think it’s reasonable to assume that this is why benzo’s were excluded, although I can’t prove it. Efforts to restrict the use of benzo’s have also been made at the state level. Just last year, my state of Tennessee made it illegal for pharmacies to dispense more than 30 days of a benzo at one time. Most insurance plans these days make it cheaper for their customers to get a 90 day supply of meds than three 30 day supplies - not to mention the fact that patients have to make extra trips to the pharmacy. So this new law makes benzo prescriptions a headache for many consumers. The ostensible reason for the law? To prevent deaths by overdose. Now it is true that opiate addicts and those on methadone maintenance programs have combined those drugs with benzodiazepines in fatal overdoses, as the combination can depress breathing. But so can the opiates all by themselves. That drug combination is actually just about the only way that benzo’s can cause deaths, short of someone falling asleep in the bathtub like Whitney Houston or choking on the actual pills. Not to mention that most of the addicts who overdose get all their pills illegally anyway, so the law accomplishes absolutely nothing other than creating a problem for those who have a legitimate need for the medication, such as patients who have panic disorder. When it comes to the profits of drug companies, however, this concern for drug addicts evaporates. The pharmaceutical industry wants pseudephedrine, its over-the-counter cold and allergy medicine, to remain easily and readily available for consumers who use the product. Unfortunately, that drug is also used by drug dealers to manufacture methamphetamine, and this has caused legislatures across the country to try to limit the ease by which the average consumer can buy it. (Of course Adderall, a drug which is almost a identical to meth, is not a big legislative concern). In response, the drug companies have suddenly jumped to the defense of the consumer. Not only do the companies lobby governments to reduce these regulations, but they are now appealing directly to the public to lobby their legislatures against them. I actually agree with them on this particular point. There are other better, effective ways to limit the use of pseudephedrine in meth production. But the double standard for pseudephendrine and benzodiazepines is palpable. A drug company trade group deceptively named the Consumer Health Care Product Association has a website designed to motivate consumers to act in their behalf and write their state legislators: http://stopmethnotmeds.com/. You know how I heard about it? The group has radio ads promoting it across Tennessee, because Tennessee is one state considering further limiting access to pseudephendrine. Have you seen them? 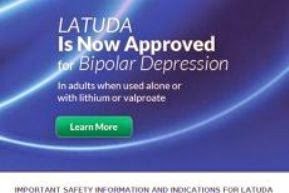 The brand new, direct to consumer (DTC), ads touting the drug Latuda for bipolar depression? The drug company just received the indication for this purpose from the FDA a very short time ago, but the drug company, Sunovion Pharmaceuticals Inc., was ready to roll. Latuda is a dopamine blocking drug, which makes it an antipsychotic medication and not an antidepressant. We have known since the 1950’s that all antipsychotic medications have some effectiveness in bipolar disorder, although primarily for the prevention of the manic phase of the illness. We have known that they also may augment an antidepressant for those who only get a partial response to the antidepressant in both unipolar and bipolar depression. A colleague of mine routinely used the antipsychotic Navane to augment the old tricyclic antidepressants in the 1970's. Only two other antipsychotic medications have official FDA indications for bipolar depression, probably because the other drug companies did not spend the money to get it. If doctors know one member of a class works, they’ll know that the others probably will too, so why bother? One of these two drugs that has the bipolar indication is actually a combination drug containing an antipsychotic medication (Olanzepine [Zyprexa]) AND the antidepressant Prozac. The other is Quetiapine [Seroquel]. The main problem with using an antipsychotic instead of an antidepressant in this condition – aside from the unequivocal fact that antidepressants are way more effective – is that antipsychotics have much more potential toxicity. Latuda is probably one of the safer ones in this regard, having a low incidence of the two biggest concerns, metabolic syndrome (weight gain, higher cholesterol, diabetes - horrible and very common problems with Zyprexa and Seroquel) and the long-term neurological side effect, tardive dyskinesia. Interestingly, the FDA won’t let Sunovion make that claim despite the fact that it’s true! Go figure. Almost simultaneously with the start of Latuda's DTC ad campaign, two research studies of the drug’s use in bipolar depression were published in the February 2014 issue of the flagship psychiatry journal, the American Journal of Psychiatry (AJP). The studies showed that the drug was effective by itself for the disorder, and also effective as an adjunct treatment when combined with either of the two major anti-manic drugs, lithium and valproate. Weirdly, the “effect size” of the improvement in patients, a measure of how much better patients got, was less (0.34) with combination therapy than it was in the case of the drug by itself (0.51). Both of these effect sizes are moderate at best, btw. That difference is particularly odd in the case of valproate, since there is zero evidence that it is effective for the depressed stage of bipolar disorder (lithium sometimes is, but not usually). Does valproate somehow make Latuda less effective than it would be otherwise? There is a big issue here: the question of whether antidepressants alone are the better choice for treatment of bipolar depression. The last author of the first AJP Latuda study is Gary Sachs, someone I have discussed previously in this blog [ 10/31/11]. He is the author of a major study that claimed to show that antidepressants were completely ineffective – worse than placebo – in the treatment of the depressed phase of bipolar disorder. He conveniently neglected to point out in the earlier paper that the sample of patients he used in this study had already proved to be resistant to antidepressant medication in the first place, and continued to dissemble about this omission when I had the opportunity to confront him about it. Some subjects of his had even failed a trial of a combined antidepressant and antipsychotic. The conclusion of the study as presented in the study was bogus as hell. A defender of Dr. Sachs made this point: Dr Sachs and colleagues in the abstract did not say that they had proven that antidepressants were ineffective in bipolar depression. They reported their finding and immediately called for additional long-term well designed studies - what I have called plausible deniability. The more recent Latuda article which Sachs co-authored did in fact state the following: “There is limited evidence of the use of standard antidepressants for the treatment of bipolar depression.” I guess that isn’t exactly the same as saying they don’t work, is it? Might as well be, though! It's not what you say, it's what people hear. Furthermore, I learned from the article that Dr. Sachs is a paid consultant for Sunovion pharmaceuticals! His reference for this statement? It is an editorial he himself wrote in the same journal as the original bogus Sachs article appeared [New England Journal of Medicine 356 (17), 4/26/07 (NEJM)]! I went and got a copy of it. These folks seem to all run in the same circles, as well as in the same circular reasoning. In that editorial, he mentions the same meta-analysis that was mentioned in the AJP Sachs article. But he also mentions that there are two other meta-analytic studies, both totally ignored in the AJP Latuda articles, that showed that antidepressants could be “highly beneficial” in bipolar depression. There is fairly subtle obfuscation of the evidence going on here, since the other two meta-analyses never seem to be mentioned in articles touting antipsychotics for bipolar depression any more. I wonder why that is? In Belmaker’s original NEJM editorial, he opines that maybe the condition is heterogeneous and that subjects in studies outside of the United States may be different than they are here. The two positive metastudies were by authors from outside the USA. Aside from the fact that there is absolutely no clinical evidence for that whatsoever, Belmaker neglects to mention that at least one of the two meta-analyses showing that antidepressants were effective did not limit itself to studies done overseas, but included studies done in the States! (I could not get a hold of the second, but this is probably also true of that one as well). Of course, the issue of antidepressants causing bipolar patients to switch into mania is also brought up again and again ad nauseum all over the place, even though everyone agrees – even the original Sachs article in NEJM - that the anti-manic drugs like lithium and divalproate prevent this. Since true bipolar patients should be on one of those drugs to begin with, this is a superfluous issue. I also have my doubts that all of the subjects in the Latuda studies were even diagnosed correctly, since one of the diagnostic tools used was the Bipolarity Index, which includes the items, “Episodes with characteristic symptoms of hypomania, but symptoms, duration or intensity are subthreshold for hypomania or cyclothymia” and “baseline hyperthymic personality when not manic or depressed. " For a discussion of the significance of that nonsense, see my posts about treatment resistant depression and bipolar disease mongering. These folks are doing nothing but trying to sell expensive and potentially toxic drugs to both doctors and the public when more effective and safer alternatives already exist. I have been studying the families-of-origin of patients with borderline personality disorder (BPD) since the the late 1970’s. As readers of this blog already know, I discovered that the biggest and most common emotional conflict in the parents who produce offspring with the disorder is a conflict over the very act of becoming and being a parent. As I described in a previous post, the parents think being great parents and taking care of children is the end all and be all of human existence, but secretly they wish, for a variety of different reasons, that they could be spending most of their time doing something else entirely. Since they are conflicted about their parental roles, they constantly give off mixed messages to their children about what is expected from them. This leaves the children to try to figure out how to meet their parents’ contradictory needs to be both needed by their children and, simultaneously, for their children to just go away. The children solve this dilemma by adopting various versions of the spoiler role. 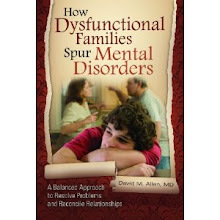 Children growing up with mixed messages from parents is, in fact, a hallmark of families producing children with any personality disorder. 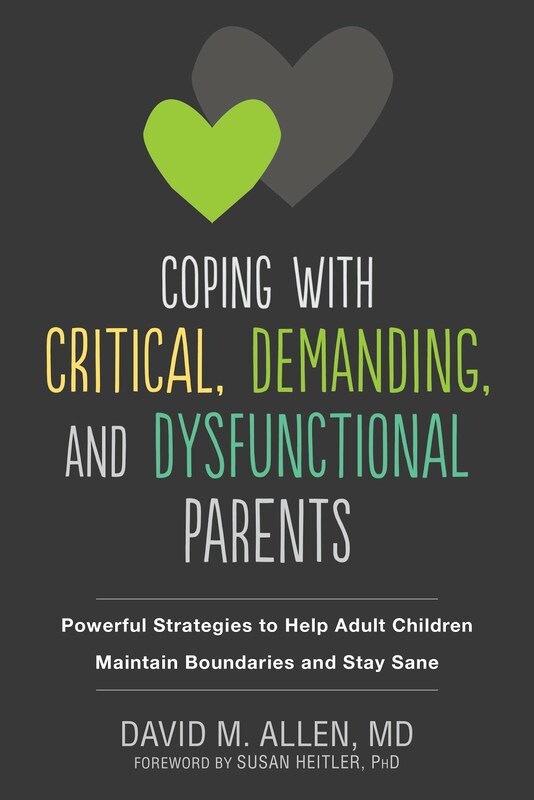 The problematic mixed messages are often in regard to only certain behaviors or role functions – usually just one or two – while the parents respond to other roles and behaviors in a coherent, non-contradictory manner. For those readers who are now adults, how does your family stack up in the continuing double messages department? My colleague Hillel Abramson and I designed an instrument to try to measure the amount and type of double messages adults perceived as receiving from their primary attachment figures, called the Family Interaction Scale or FIS. While designed with only borderline personality disorder (BPD) in mind, it can be used more generally, and you can administer it to yourself to see what areas are problematic for your families. But first, just a little background. In order to see what is going on in families, one has to appreciate that conversations between family members have subtexts. A subtext is an underlying, implicit and often distinct theme in a conversation that is not perceivable if someone is only paying attention to the literal meanings of the sentences spoken. In order to understand a subtext, one also has to listen to an entire conversation before hidden meanings might become evident. Just a few sentences will not do. Furthermore, an understanding of the entire history of the relationship between the people having the conversation, not just the current interactions, is also required to tease out important latent themes. Therefore, appreciating the subtexts of conversations between intimates involves thousands of variables that will be completely different for each dyad or group being evaluated. To think that subtexts of this complexity can be “measured” by standardized questions and answers on a psychological test is ludicrous. For this reasons, truly “empirical” studies are impossible. The four groups were patients with the disorder, those who were subthreshold for the disorder (that is, who met 3 or 4 of the criteria for BPD rather than the required 5), non-psychotic patients being treated in our clinic who did not have BPD, and normal controls who exibited no psychiatric disorders at all. For each domain, we provided 6 to 7 options. Since no human relationships are completely consistent all the time, we wanted to avoid saying anything that implied that the parents were “always” one way or another. So we asked subjects to please check only the one item in each domain rating that "came the closest to describing the parent's current behavior towards you most of the time." For each domain, there was one response pattern that we deemed appropriate. Another response pattern we originally deemed “neglectful.” However, in thinking about it as the results came in, it seemed to us that it would be more accurate to say that these items reflected the fact that the issue in the domain did not seem to matter at all to the parents. There were two response patterns that we deemed polarized – the parent acted most of the time at one extreme or the other without much in between. There were also two response patterns that were indicative of the pattern in which we were most interested: double messages. The parents either were perceived as blatantly contradictory in their behavior, or they said one thing but seemed to mean something that was contradictory to what they said. In reading the items below, you should be able to easily figure out which item corresponds to which response pattern. Subjects in the original research were asked to choose and rate up to three attachment figures from their childhoods who were still alive, still interacting with the subject in the present, and not senile. “Still in contact" could mean in person, by phone, by letter, or even by word of mouth. 2. This person consistently criticizes me no matter what I decide about how I run my life. 3. This person consistently goes back and forth between praising and criticizing me for the same decisions. 4. This person is consistently fair in praising and criticizing me for my decisions. 5. This person rarely praises or criticizes my decisions about how I run my life. 6. Regarding my decisions, this person consistently says one thing but really means another. 1. This person consistently brags about me to their friends and relatives. 2. This person consistently bad mouths me to their friends and relatives. 3. This person says contradictory things about me to friends and relatives. 3. This person is consistently fair in making remarks about me to friends and relatives. 5. This person consistently does not talk about me with their friends and relatives. 6. This person consistently says one thing about me to friends and relatives but really means another. 1. This person acts happy only if I follow their advice. 2. This person acts happy only if I ignore their advice. 3. This person consistently acts unhappy with my reaction to their advice no matter if I follow or ignore it. 4. This person accepts my reaction to their advice even if I disagree with it. 5. This person consistently does not react to how I respond to their advice. 6. Regarding my reactions to their advice, this person consistently acts one way but really feels another. 1. This person consistently blames themself for their own problems even when they are not at fault. 2. This person consistently blames me for their own problems even when I'm not at fault. 3. This person consistently goes back and forth between blaming me and themself for their problems. 4. This person is fair in assigning blame for their problems. 5. This person consistently blames others rather than me or themselves for their problems. 6. This person rarely blames anyone for their own problems. 7. In assigning blame for their problems, this person consistently says one thing but means another. 1. This person almost never tells me what to do, even if I ask for their advice. 2. This person almost always tells me what to do. 3. This person consistently goes back and forth between telling me to make my own decisions and telling me what to do. 4. This person usually tells me to make my own independent decisions but will offer advice if asked. 5. This person is unconcerned with who makes the decisions in my life. 6. Regarding telling me what to do, this person consistently says one thing but really means another. 1. This person consistently expresses worries about how I am doing even when they know I'm doing well. 2. This person never expresses worries about me even when they know I'm in trouble. 3. In expressing worries about how I'm doing, this person goes back and forth between expressing worries and saying nothing. 4. This person is consistently reasonable when expressing concerns about how I'm doing. 5. This person doesn't even bother to find out how I am doing. 6. In regards to worrying about how I'm doing, this person consistently says one thing but really means another. 1. This person only acts happy when I am happy. 2. This person only acts happy when I am miserable. 3. This person goes back and forth between acting happy when I'm happy and acting happy when I'm miserable. 4. This person shows sympathy with how I feel but their mood does not depend on how I am feeling. 5. This person almost never reacts to how I am feeling. 6. When I'm happy or unhappy, this person consistently acts one way but really feels another. 1. This person does not act happy unless I am succeeding in my career. 2. This person usually acts unhappy about my career accomplishments and relishes in my failures. 3. This person goes back and forth between acting happy about my career successes and relishing in my failures. 4. This person expresses satisfaction with my career successes and sympathizes with my career failures. 5. This person almost never reacts to my career successes and failures. 6. 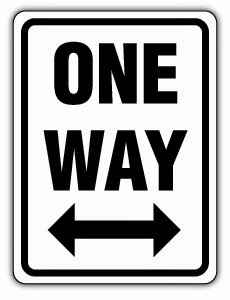 When reacting to my career successes and failures, this person consistently acts one way but really feels another. 1. This person does not act happy unless I am having a successful romantic relationship. 2. This person usually acts unhappy about my successes in romantic relationships and relishes in my failures. 3. This person goes back and forth between happy about my romantic successes and relishing in my failures. 4. This person expresses satisfaction with my romantic successes and sympathizes with my romantic failures. 5. This person consistently does not react to how I am doing in romantic relationships. 6. 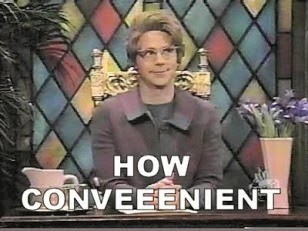 When reacting to my love life, this person consistently acts one way but really feels another. The results of the study were published in 2005 in the psychiatric journal Comprehensive Psychiatry, volume 46, pages 340-352, and were highly significant and in line with most of our predictions. The fact that they were so significant was even more impressive considering the fact that the number of subjects in each subgroup was relatively small. Discovering small differences usually requires larger samples, so this means that the differences were probably quite large. We found there were significant differences between groups in regard to appropriate and contradictory responses for the first attachment figure rated. BPD patients endorsed fewer appropriate responses than did the patient controls (p=.001) and than did the normal controls (P=.011). There were no other significant differences among groups regarding appropriate responses for the first rated individual. BPD patients reported significantly more contradictory responses than did patient controls (p=.004) and normal controls (p=.003). In addition, Subthreshold subjects reported more contradictory responses than did patient controls (p=.009) and normal controls (p=.005). Contrary to prediction, there were no significant differences in the mean number of polarized responses among any of the groups. The polarized responses were indicative of something called splitting: the tendency of people to think of others as all good or all bad. BPD patients are thought to be unable to see shades of grey, but they were no more likely to endorse polarized response patterns than anyone else. In other words, this was evidence that patients with BPD do not split, at least when thinking about these issues. This was also shown in another way described below. There were also no significant differences in what we first called neglect responses among any of the groups. This was a bit of surprise since neglect is often present in the parenting styles of those with BPD. However, even when prominent, it tends to oscillate with overinvolvement. But if these items measured lack of interest rather than neglect per se as described earlier, the fact that the parents of subjects with BPD were not characterized as uninterested should have been no surprise. That is because- clinically - even when parents of future BPD patients are neglectful, they tend to blame it on the child! When chronic unhappiness (dysthymia) was controlled for in comparisons of subject groups, the pattern of significant effects remained the same. The number of subjects rating two parental figures (N=59) was considerably smaller than the number of subjects who rated at least one (N=93). No significant overall effect between the groups on the way they responded to the FIS regarding person B was found – possibly because of the much smaller sample size. However, the trends were the same. Normal controls reported significantly more appropriate responses than did BPDs (p=.002), Subthresholds (p=.004), and patient controls (p=.024). BPD patients reported significantly more contradictory responses than did normal controls (p=.002) and trending toward reporting more than did patient controls (p=.064), while subthreshold subjects reported significantly more than did normal controls (p=.038). There were no significant between group differences in polarized or neglect responses. When we examined the FIS by domains, the most commonly endorsed domain in which either contradictory response was endorsed by BPDs for person A was domain 1, with 40%. The corresponding percentages were domain 2, 27.5%; domain 3, 25%; domain 4, 20%; domain 5, 32.5%; domain 6, 22.5%; domain 7, 20%; domain 8, 27.5%; and domain 9, 20%. The fact that the pattern in the various domains was all over the place within the BPD sample also indicates that each item was considered separately and there was no pattern of items being rated globally in one consistent way. Such global ratings might be expected in "splitting" subjects who were unable to look simultaneously at both good and bad characteristics in an individual. Furthermore, although the mean number of contradictory responses of BPD subjects within the varius domains was considerably higher than the mean for patient controls for person A, it was still quite small—only 2.24 (range 0 – 8 out of a possible 9). The mean for the normal controls, however, was only 0.46. In other words, the normal controls perceived almost NO double messages from their parents. So readers, go ahead and use the FIS to rate your own families on how often they drive you to distraction with double messages. You don't have to share the results with anyone unless you want to. But please feel free to share your general reactions to the FIS items in the comments section.